 Named #1 Sports Bar by D Magazine, and Top 10 Sports bar by USA today, Christies Sports Bar & Grill is premier sports-watching venue in Dallas. With over 62 HD TV’s & 3 120” projector screens, it is the #1 location in Dallas to watch your favorite game. Family owned and operated since 1991, Cheston and Ashton have made it their commitment to provide amazing service and a place cherished in the Uptown area for many years.